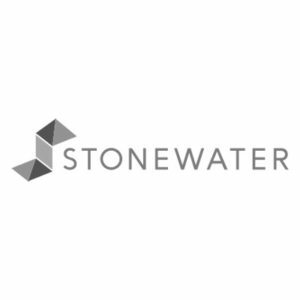 BECG is retained to provide public affairs support for Stonewater, a housing association with 31,500 units across England. Initially tasked with providing stakeholder engagement backing at a local level to support development sites, the brief developed to become a national public affairs programme, focused on raising Stonewater’s profile with political stakeholders in Westminster and influencing the direction of Government policy. Following an immersion session to draw out topics of particular interest to Stonewater, BECG produced a detailed public affairs and influencing strategy, setting out three potential research topics based on different parts of their business. BECG has supported Stonewater to identify opportunities to engage with MPs, peers and ministers on a variety of issues, including social housing rents, supported housing, barriers to development, and the need to ensure that Brexit does not impact on housing associations and their ability to borrow money to develop new homes. The past two years have seen a significant increase in the name recognition of Stonewater in the political sphere. The activity outlined above, alongside the political engagement strategy devised by BECG, has led to Stonewater being invited to meet with several Government ministers and civil servants about the direction of policy affecting the housing sector ahead of policy announcements. In addition, Stonewater has become the industry ‘voice’ on the issue of European funding for the housing association sector in the UK post-Brexit, and with BECG’s support continues to engage in the political process and achieve its thought leadership ambition. BECG have been an integral part of Stonewater’s journey over the last three years, helping us to navigate through the political environment to proactively raise our profile amongst policy makers. One of the most powerful ways we can enhance the perceptions of Stonewater with customers and other stakeholders is by working collaboratively with BECG – They have helped us raise our profile and have enabled us to increase our engagement levels.